A delicious premium gin that is inspired by the recipe of the pink original of Gordon's of the 1880's and is able to offer the perfect balance between the refreshing taste of Gordon's and the sweetness of the red fruits. Gordon's Pink Gin is fruity and strong. The sweet taste of raspberry and strawberry meets the intense flavour of the black currant, giving a note unique that will be appreciated by the new taste and will leave you surprised with regular consumers of gin. Prepared with high quality ingredients and only natural flavours, Gordon's Pink Gin bursts with style to bring innovation and sweetness in the moment of the aperitif. 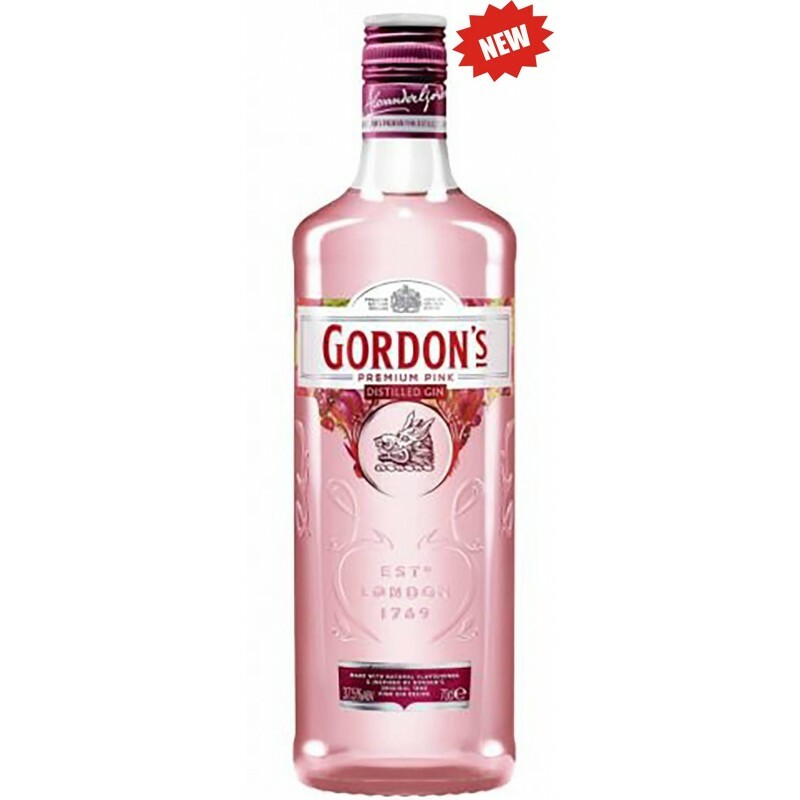 Served with tonic or lemonade in a large wine glass and decorated with red fresh fruits, Gordon's Pink Gin adds character to cocktails and offers a special occasion to share with friends.A new gin that surprises and conquers in an instant. Fill with ice in a copa glass or a large wine glass. Mix the two ingredients and decorate with fresh strawberries cut. Stop for a moment and savour. Fill with ice in a copa glass or a large wine glass. Mix the two ingredients and garnish with fresh raspberry or red currant.